The problem with the original stickers, which is something that has bothered me since I began offing them but couldn't afford to change until now, was that they weren't professionally made. Nope, I printed them up myself using ink-jet printer paper, and those who I sent them to had to cut them out themselves. Super lame! 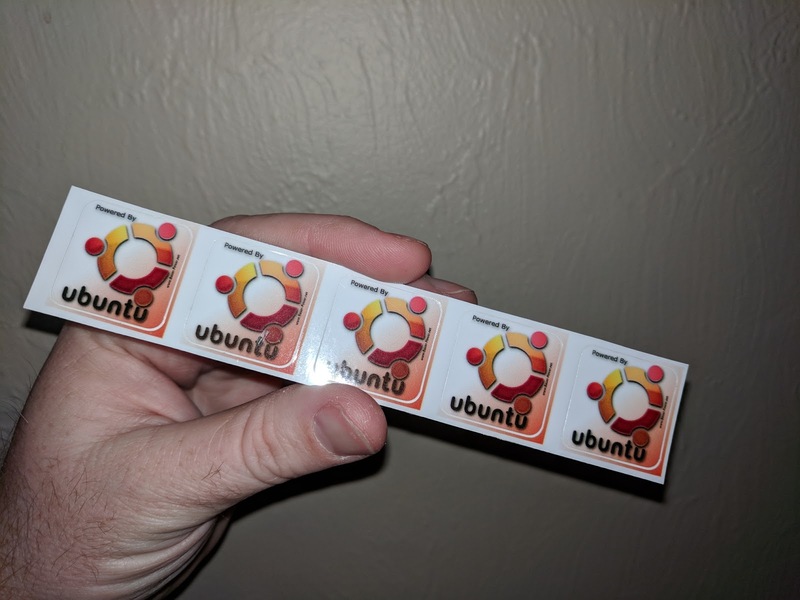 Well that has all changed, because I finally broke down and paid to have a professional sticker company print these brand new Powered By Ubuntu stickers using a design I made myself! Anyone who sends in a request will get five of these easy to peel bad boys! Be sure to spread the word! If you love Ubuntu Linux as much as I do, please share this offer with everyone you know who loves Linux. Help me to spread Ubuntu around the world! 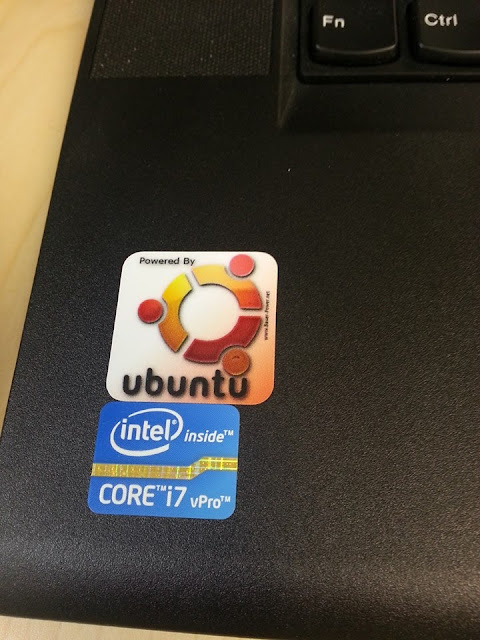 Let's rid the world of Windows stickers on laptops and desktop PC's everywhere! 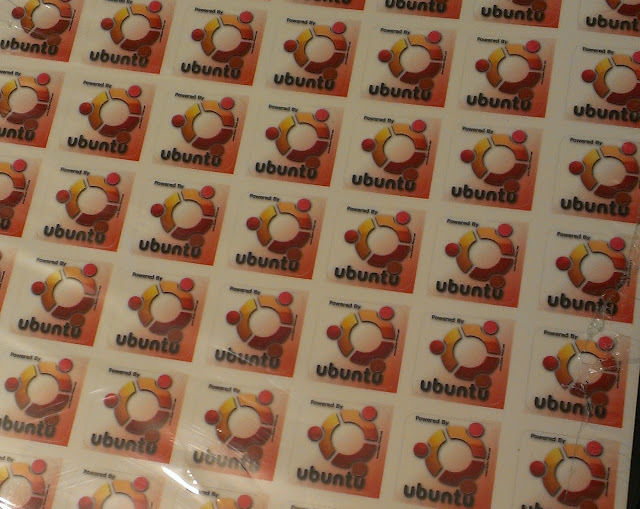 Oh, and by the way, you will also get these stickers for free with your Ubuntu Stickers!